No Safe Haven for Elephants – FIREPAW, Inc. While elephants used to roam quite happily across international borders, the influence of poachers in Angola, Zambia and Namibia now limits them to Botswana…Elephants Without Borders was set up to help governments protect the animals… but there’s now little they can do. “Elephants clearly have a cognitive ability to understand where they are threatened and where they are safe and in this case they are seeking refuge and sanctuary in Botswana where they are well protected,” said Dr Chase, who admitted there wasn’t room for them all. 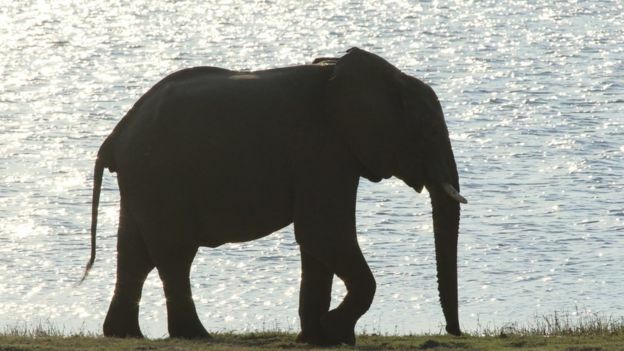 Even without the worst drought in 30 years, Botswana can’t cope with so many elephants.